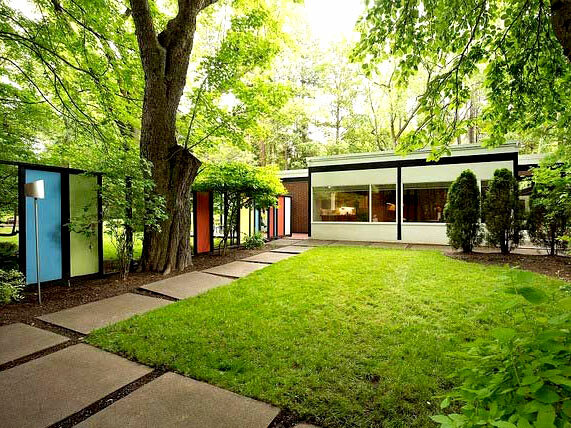 In 1954, local architect Bruce Walker designed a Modernist home for Mary Jean and Joel E. Ferris, II on a portion of a family-owned four-acre estate. 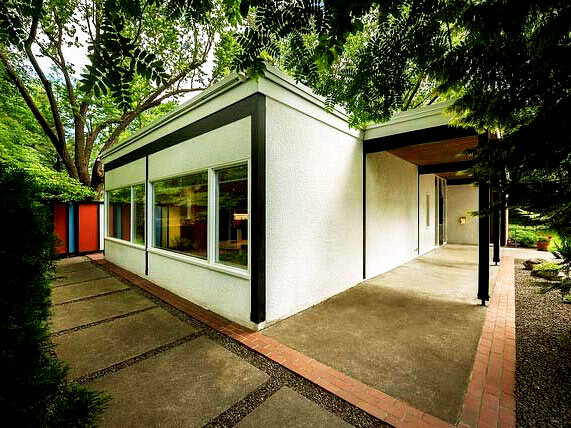 The one-story, brick-and-stucco house was built on a half-acre site surrounded by mature evergreens and deciduous trees. 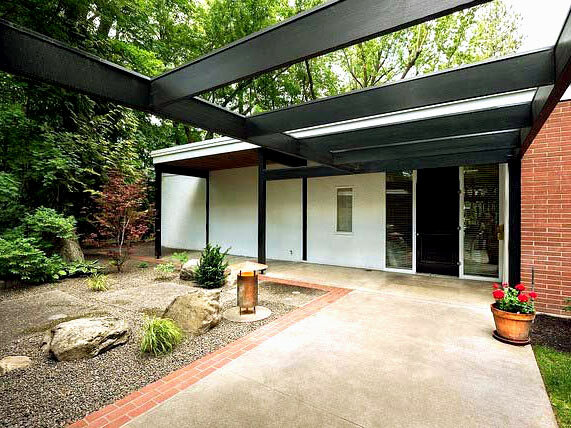 Lawrence Halprin, working with Walker on the Washington Water Power (now Avista) headquarters in Spokane, provided a three-part landscape design that wrapped around the house’s square footprint and integrated indoor and outdoor living. Adjacent to the entrance, a small rock garden is paved with three large, rectangular paving stones set in loose gravel. 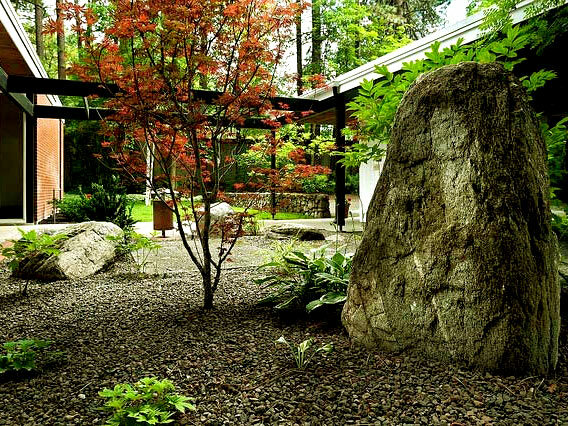 It is planted with ornamental shrubs and two small trees and adorned with small boulders and a Japanese lantern. A line of conifers connects the rock garden and the north play yard, which is edged on two sides by large masonry pavers and high fences. 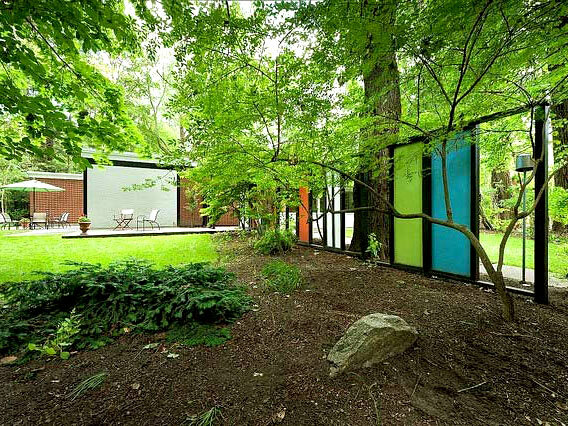 The eastern fence holds an alternating mix of colorful opaque panels and open frames, allowing for controlled views into the adjacent rear lawn. 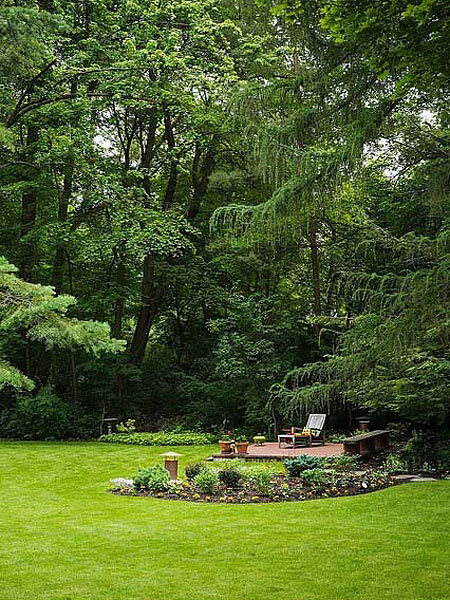 The largest of all the garden spaces, the rear lawn is framed by sinuous planting beds of shrubs and large trees. 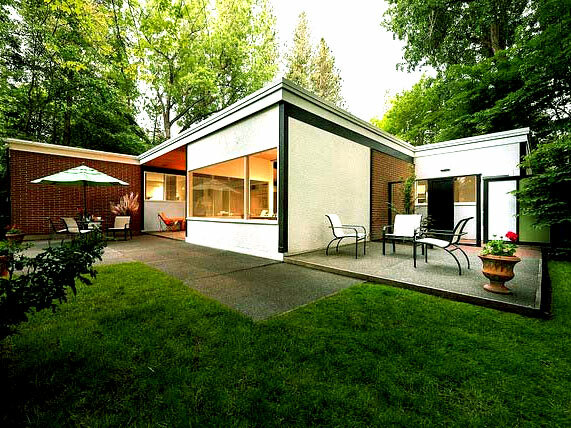 A raised brick terrace with two Japanese lanterns serves as the lawn’s focal point. 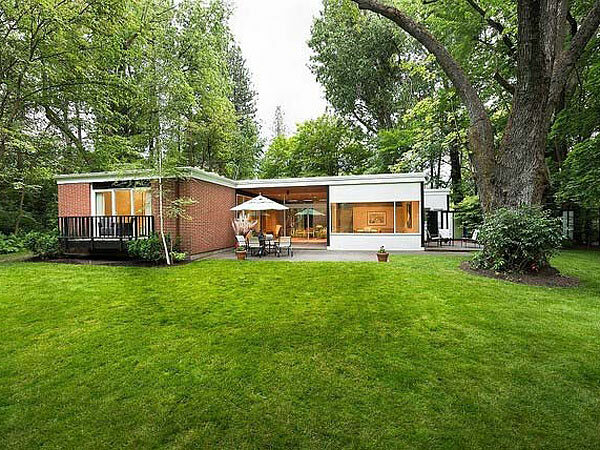 In 1960, the acreage was doubled and the lawn expanded eastward to encompass a boulder bridge built in 1906 and a side terrace. In 2012, the property was listed in the Spokane Register of Historic Places, with a unique agreement between the city and all future owners that preserves both house and grounds.